18 holes with cart, range balls, lunch, special coupon and more! FREE Gift for all cardholders that play at above rates! Check out all the fun for each day below! *FREE Gift comes with every Passport/PDP/Member round when playing at above rates. 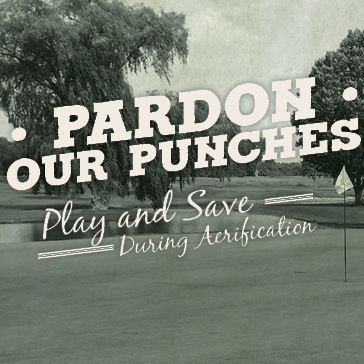 Receive a FREE Greens Fee. $5 off your next 18 hole round with cart & 30% off any shirt or shoe purchase! Lowest score over select three (3) holes wins a FREE Round of golf! $10 off your next 18 hole round with cart & 30% off any shirt or shoe purchase! High/Low Score - The three (3) golfers with the lowest score win a FREE Round of Golf! The three (3) golfers with the highest score win a FREE Green Fee!